The iPod® PA Hire Pack. The iPod® Pack is a great PA Hire alternative for those that are looking for a simple plug and play solution. 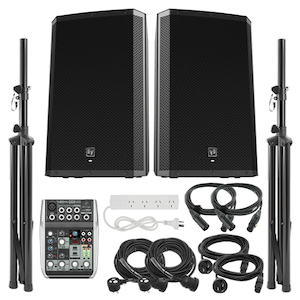 Looking to have a cost effective solution for music and speeches? This easy to setup package will be just right for you. Simply plug in an iPhone®, Laptop or Microphone and you'll have all you need for your small event.